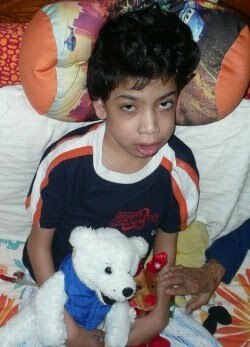 We sadly inform you of the death of Aaditya Michael Dasgupta due to Niemann-Pick Disease Type C (NPC), on August 12. Nine-year-old Aaditya is the son of Aaditya Ravi Dasgupta and Tasneem Tankiwala of India, and the nephew of NNDPF member Duriya Lakdawala of Michigan. A funeral mass was held on Saturday, August 14. Our deepest sympathy to Aaditya’s family and many friends. To learn more about Niemann-Pick Disease and to join our Quest for a Cure, please visit the National Niemann-Pick Disease Foundation’s Web site.